Enjoy the best of both worlds with these Chicken and Chorizo Tacos. 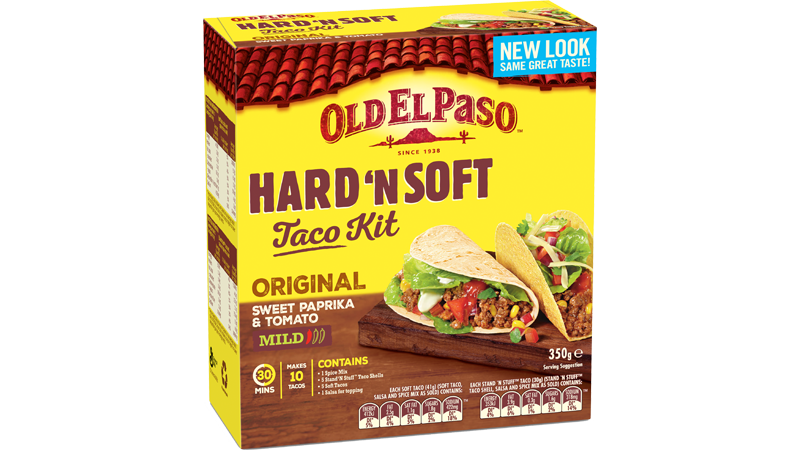 Using our Old El Paso™ Hard & Soft Taco Kit, this recipe serves 4 and is on the table in just half an hour. Savour the delicious combination of succulent chicken and chorizo, and finish off with coriander and sour cream. In a medium bowl, using your hands, massage the taco seasoning into the chicken mince. Heat the oil in a large frying pan over high heat; add chorizo and sweet potato and sauté for 3- 4 minutes. Add chicken mince to the pan and continue cooking for 3- 5 minutes breaking up with a wooden spoon. Allow potato, chorizo and chicken to crisp in pan, for a further 2 minutes. Warm hard tacos and soft tortillas according to pack directions. 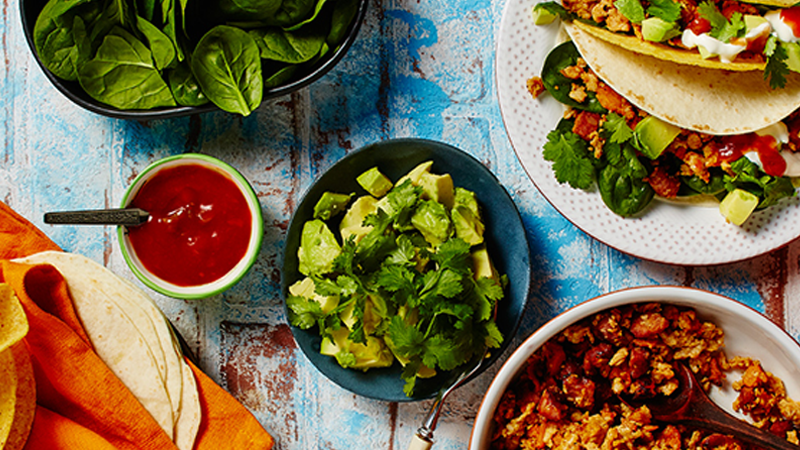 Serve warmed tacos and tortillas topped with spinach leaves, chicken chorizo mixture, diced avocado, coriander leaves, and sour cream.